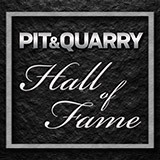 P&Q Hall of Fame Profile: Paul Detwiler Jr. The conversations typically lasted only five or 10 minutes, but George Sidney came to expect them from time to time when Paul Detwiler Jr. was in the area. When a phone call like this came, a quarry project of some sort was likely on the mind of Detwiler, now chairman of the board at Pennsylvania-based New Enterprise Stone & Lime Co. Inc. Soon after making the call, Detwiler would pull into the parking lot outside of Sidney’s office, and the two would talk. On one occasion, Detwiler wanted to pick Sidney’s brain about mobilizing some rather large equipment within a quarry. A number of similar impromptu conversations were had between the two over the years. The conversations largely centered on equipment innovation. Conversations like the ones with Sidney are just one way Detwiler seeks solutions. Detwiler is very well-read, says Jim Barley, president of New Enterprise’s West Region. Detwiler, who has served as a director of New Enterprise since 1972, absorbs every morsel of information he can in trade publications and industry books. He is also a regular at trade shows, where he’s shown himself to be on the leading edge of innovation. As an example of Detwiler’s innovative spirit, New Enterprise had conveyor tail pulleys raised up from the ground on columns years before many other companies did. The approach made cleanup and reliability better. Detwiler applied his innovative spirit to other areas of operations, as well. How could a process be more efficient? How could a practice be made safer? Where in an operation could improvements be made? These are among the questions Detwiler traditionally raises and for which he’s continuously in the pursuit of answers. The innovative solutions Detwiler implements within New Enterprise operations aren’t solely found outside the company, though. 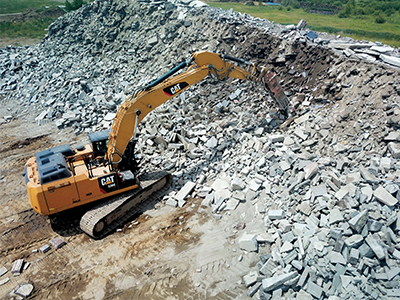 By engaging employees within the company’s quarries – everyone from the superintendent to the general laborer – Detwiler is able to glean information that can make the company’s operations better. “He never lost touch with the man on the quarry floor,” Sidney says. “He has always kept his hand in the operations group. He was CEO of the company, chairman of the board, and he was still involved in those day-to-day activities. 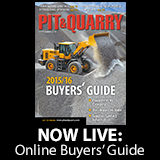 “He’s the epitome of a quarry man,” Sidney adds. Paul Mellott Jr., chairman at Mellott Company and a 2013 Pit & Quarry Hall of Fame inductee, couldn’t agree more. 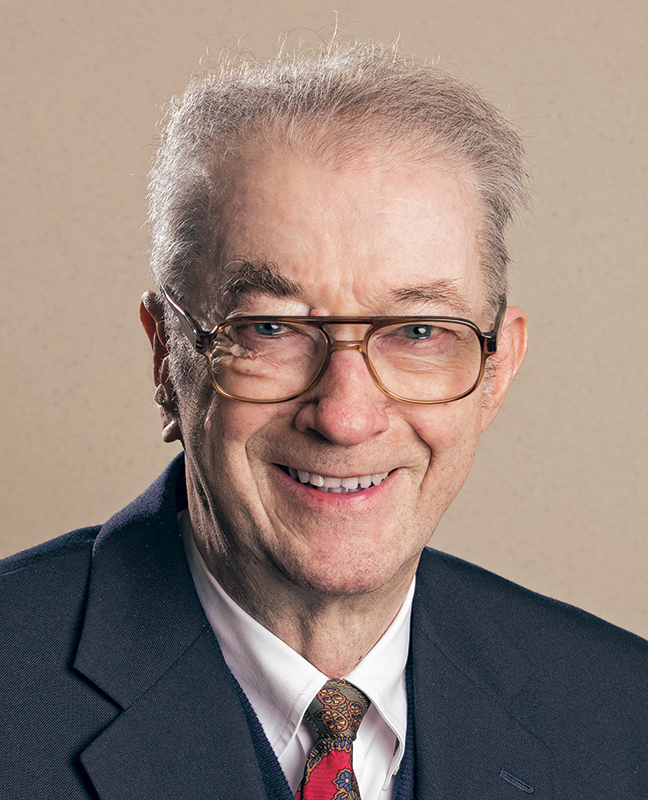 Detwiler also makes time for his employees to this day, at 83 years old, because he is passionate about his work and the people who serve his company. Detwiler still goes to work every day, first to the office and to New Enterprise quarries in the afternoon. Detwiler’s passion for the aggregate industry is evident, adds Betty O’Neal, an administrative assistant at New Enterprise who has devoted more than 50 years to the company. O’Neal’s tenure at New Enterprise stretches back to the days of Detwiler’s father, Paul Detwiler Sr., whom she also served. She has noted similarities between father and son over the years. The welcoming approach the Detwilers have taken to their employees has only benefited the company, O’Neal adds. Paul Jr. took away some best approaches from his father, and current President and CEO Paul Detwiler III, Paul Jr.’s son, has modeled parts of himself after his father. The admiration people have for Paul Jr., who helped to grow his company over the years through strategic acquisitions, translates outside of New Enterprise. Kim Snyder, the former president at Eastern Industries Inc., which New Enterprise ultimately acquired with the purchase of Stabler Cos. Inc., holds Paul Jr. and the Detwiler family in high regard. Snyder has always appreciated Paul Jr.’s passion for the industry, which he witnessed on more than one occasion. Associate Editor Megan Smalley contributed to this article.